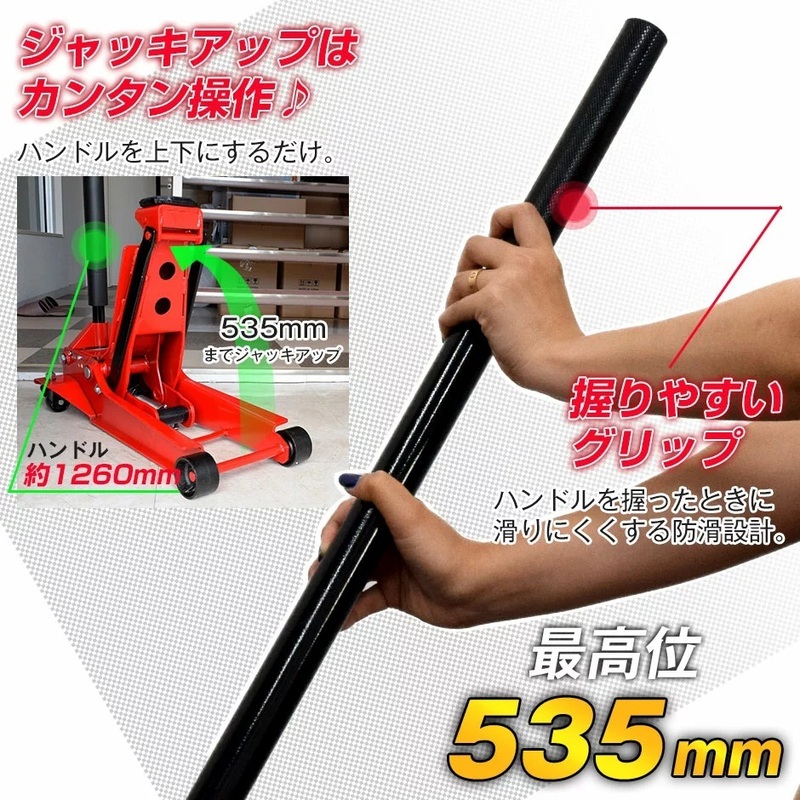 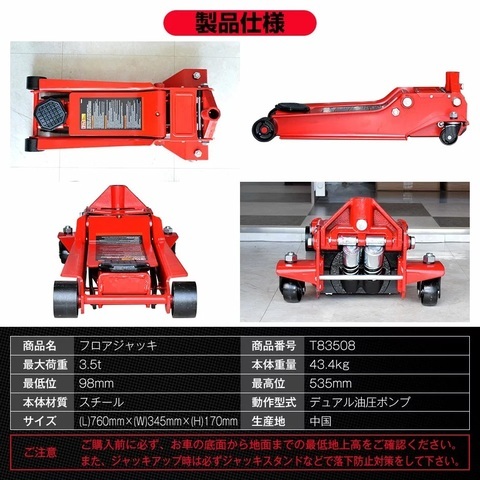 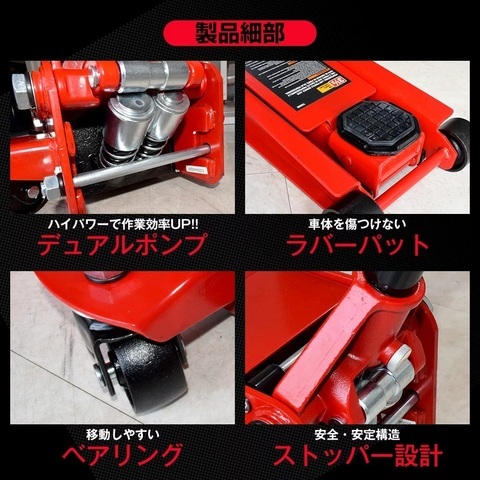 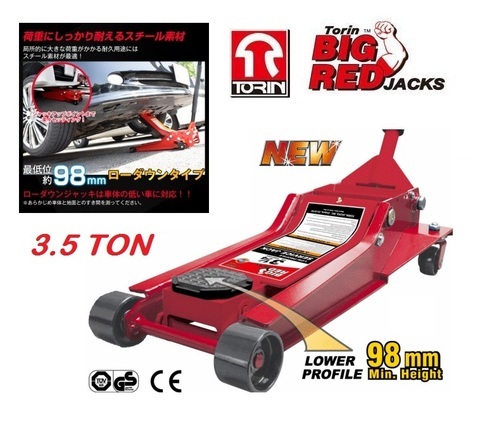 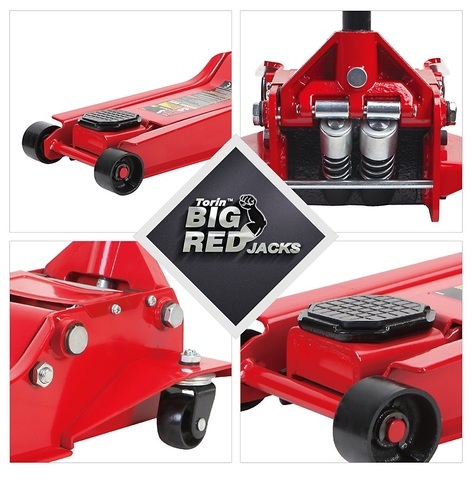 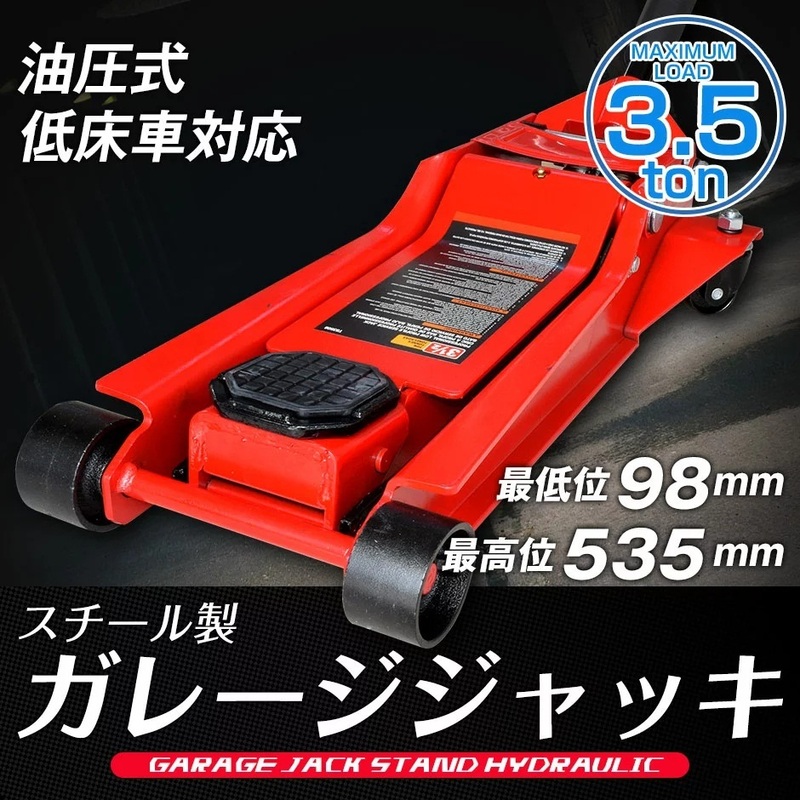 Torin 3.5Ton Heavy Duty Low-Profile Services Floor Jack..
.The hydraulic technology makes lifting simple while a wider frame and internal bypass valve ensure safety. .Safety bypass system prevents over-loading and ensures safe operation. 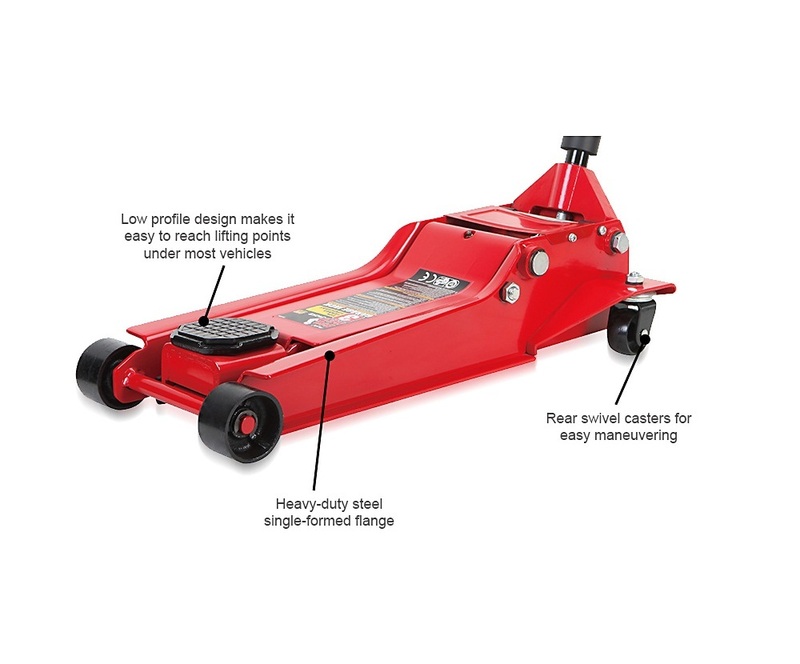 .Special quality design: polished and treated cylinder rams use high performance seats. .Polished inner cylinder walls extend the life of the seals to minimize abrasion and wear. 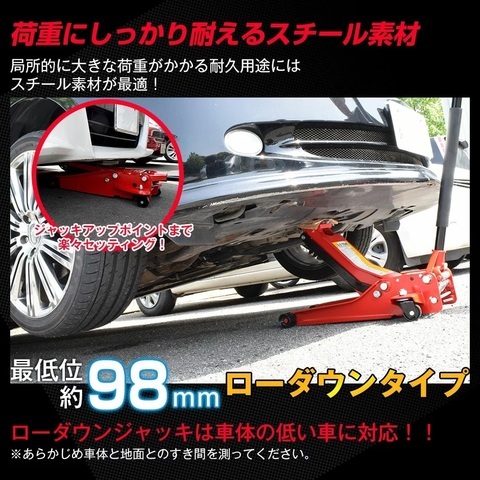 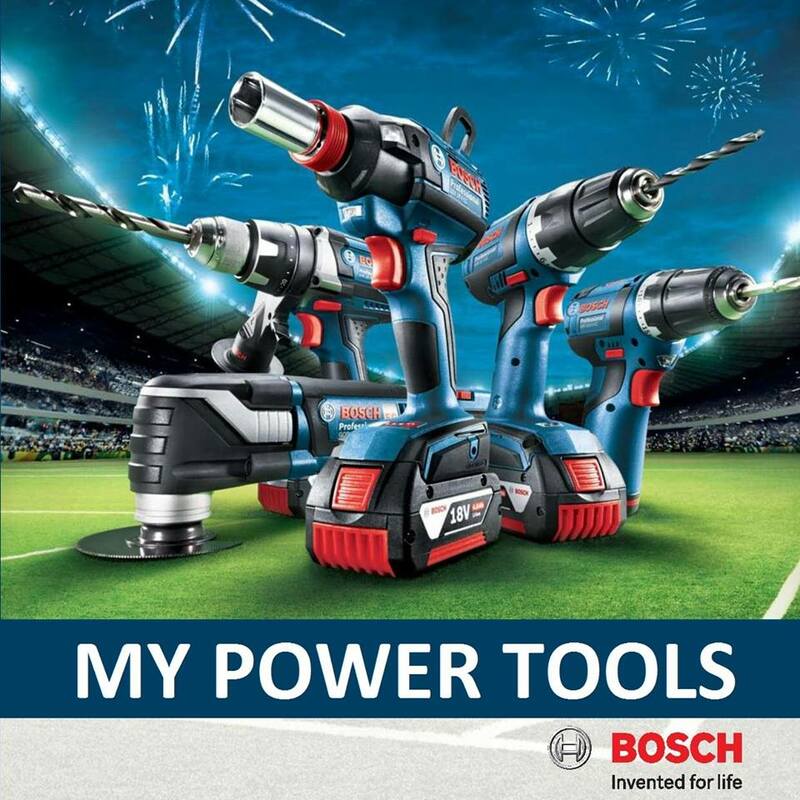 PRICE RM599.00..(Mighty Garage Tools & Equipments)..